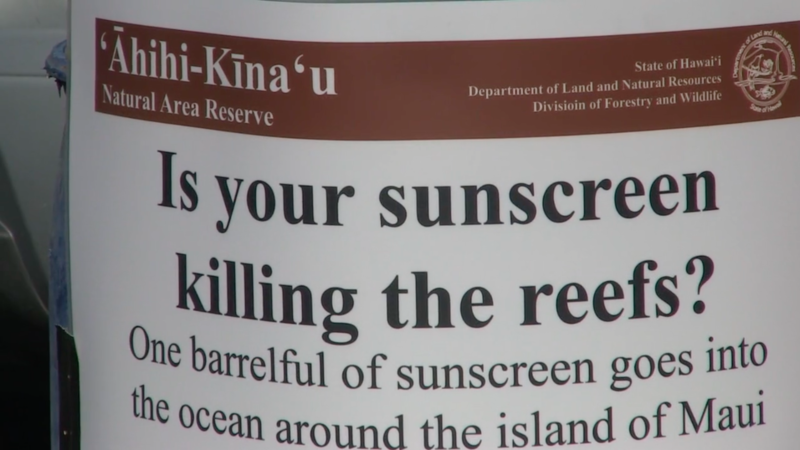 (Honolulu) – A compound commonly found in sunscreens has been shown to cause serious harm to corals, and the Department of Land and Natural Resources (DLNR) is asking people who enter the ocean to avoid using sunscreens which contain oxybenzone. Recent studies have shown that oxybenzone causes deformities in coral larvae (planulae), making them unable to swim, settle out, and form new coral colonies. It also increases the rate at which coral bleaching occurs. This puts coral reef health at risk, and reduces resiliency to climate change.